The answer is simple. No! There is a tremendous amount of “scientific” non-testable philosophy and assumptions that are part of the “theory” of Evolution. Sadly, the majority of the scientific world promotes their philosophy and assumptions (not to mention baseless guesses and speculation) as science when it isn’t science at all. In my opinion Christians should not embrace Evolution. Evolution is completely opposed to Biblical Judaism and Christianity because death did not enter into the world until after Adam and Eve sinned. The animals were created before that and did not evolve into what we know as an elephant, lion, or dog etc from a single ancestor. They were created separately by God. For evolution to work you have to have death and corruption of genetics to get the mutations for biological creatures to “evolve” over long… long… long… long periods of time. Then you have the problem of huge, astronomical chances to get one beneficial mutation out of probably millions of mutations that would kill the animal. This entry was posted in Creationism, Evolution, Science and tagged Christians Should Not Embrace Evolution, Creation, Evolution, Science. Bookmark the permalink. 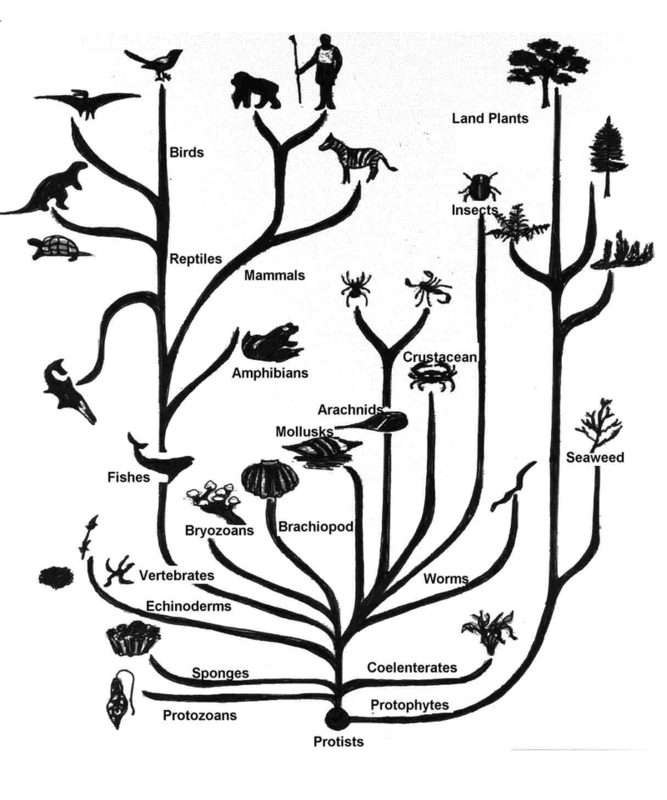 8 Responses to Should Christians Embrace Evolution? I’m going to have to disagree with you here. It’s actually based on quite a few observations. In fact, you can watch microevolution happen in a lab. If you believe in dinosaurs, then you have to believe that species changed over time. Hi S. I’m not referring to actual scientific data in this statement. I’m referring to the philosophy, assumptions, baseless guesses, and speculation. That isn’t science, yet many in the scientific community promote it as science. Ok. Thanks for your reply. I’ll concede we (scientists) can’t currently prove the origin of life, and so we shouldn’t speak as if we know the details. But that statement applies to Christians as well–just because you don’t know, doesn’t mean God did it. On my blog site I have a good video under Categories->Evolution that explains how to use four separate lines of evidence to show that whales evolved from land animals. I agree, from a scientific perspective we are all in the same place. None of us can hop in a time machine and go back in time to gather the needed scientific tests and data to conclusively prove abiogenesis or creation-genesis (or many other points along the way). All we can do is look at the actual scientific data and interpret that data in a rational and logical manner to carefully draw observations and conclusions. Then we have to acknowledge that beyond that we are moving into a philosophical “belief” framework building our viewpoint on possible origins etc. Scientists expect us all to believe their word when they present their findings and conclusions. Not much different than believing those other human beings who directly experienced God down through time, writing everything down for those of us who weren’t there. “That which was from the beginning, which we have heard, which we have seen with our eyes, which we have looked at and our hands have touched—this we proclaim concerning the Word of life” (1 John 1:1 NIV). “For we did not follow cleverly devised stories when we told you about the coming of our Lord Jesus Christ in power, but we were eyewitnesses of his majesty” (2 Peter 1:16 NIV). So the question comes down to this. Simply… who are we going to believe? Why do you assume that there had to be mutations that would kill the animal? I’m not assuming anything. Genetic mutations can often cause death for a variety of reasons. Macroevolution relies on beneficial random mutations that help the animal to evolve, but the flip side of that is some random mutations will cause the animal to die. Mutations are generally neutral and can actually beneficial. So, I was just curious. Thank you for the reply. I would agree they can be neutral and beneficial… as well as debilitating or deadly.